On June 1, 2016, VA Secretary Robert McDonald announced that the VA has granted equitable relief to over 24,000 disabled veterans with Traumatic Brain Injury (TBI) who were previously denied VA disability benefits for their condition. In 2007, the VA decided that all TBI exams for disability compensation had to be performed by either a psychiatrist, a physiatrist, a neurologist, or a neurosurgeon since these specialists have the most experience diagnosing and treating TBI. In so doing, however, thousands of veterans whose TBI exams were not conducted by one of these specialists had their claims denied or where not fully compensated. 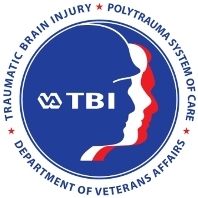 After reviewing all the TBI examinations performed between 2007 and 2015, the VA has determined that the 24,000+ veterans whose exams did not meet requirements should be given the opportunity to have their cases re-evaluated and re-adjudicated in order for them to receive the fair compensation they deserve. The VA will contact the affected veterans identified by this review directly and offer them a chance for a new exam and to have their claims reprocessed. The VA will review a veteran’s disability claim based on the new exam without the veteran having to file a new claim. If the veteran is due any additional benefits, the VA will set an effective date as early as the date of the veteran’s first TBI claim. Very glad to hear this for all those concerned have suffered long enough. I am happy to see this... I was rated 0% based on no residuals after it was noted by the speech pathologist that I had difficulty coming to certain words. I teach so it impacts me. The intermittent memory difficulties were noted as well. Now, a year after retirement, a head CT reflected an old CVA in my basal ganglia.